Commissioner Madelyn E. Butler, MD, was appointed to the Commission in 2017 by Commissioner of Agriculture Adam Putnam. She was born in Cuba and immigrated to the United States with her family at a young age. She spent her childhood in Georgia, then moved to Florida, where she completed high school. She attended the University of Florida, where she received both her undergraduate and medical degrees. She later completed her residency at the University of South Florida. Since beginning her practice in 1994, Madelyn’s contributions to the field have been recognized by both professional organizations and her peers. 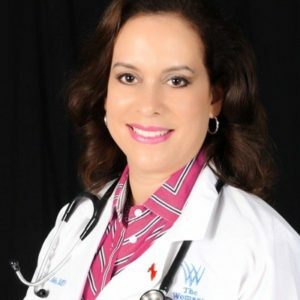 She as served as President of the Florida Medical Association and is a delegate to the American Medical Association, She has provided public education as “medical expert in OB/Gyn” for Channel 8 and has received the “Outstanding Physician Award”. Recently named Best OB/GYN Group” by the Florida Medical Journal and the Tampa Tribune, Madelyn and her partners have seen their vision for a “best in class” practice come closer. Madelyn loves to travel and spend time with her family: Bill, her husband, her three children: Olivia, Christian and Donovan.